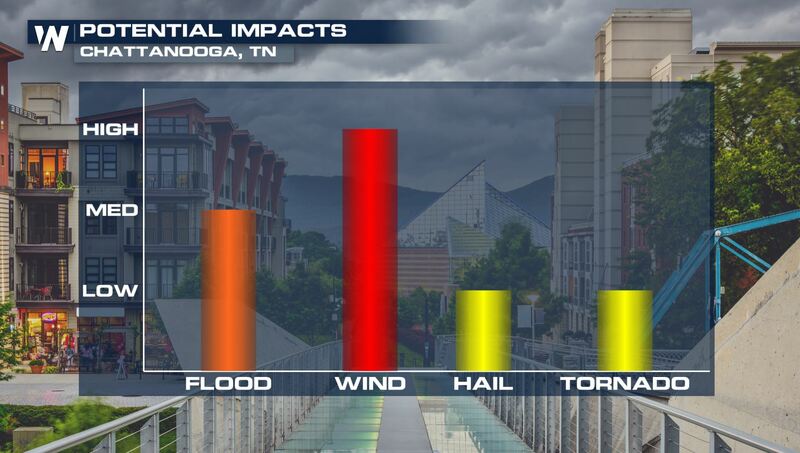 After damaging and deadly storms raced across the south on Saturday, more severe weather is expected on Sunday. 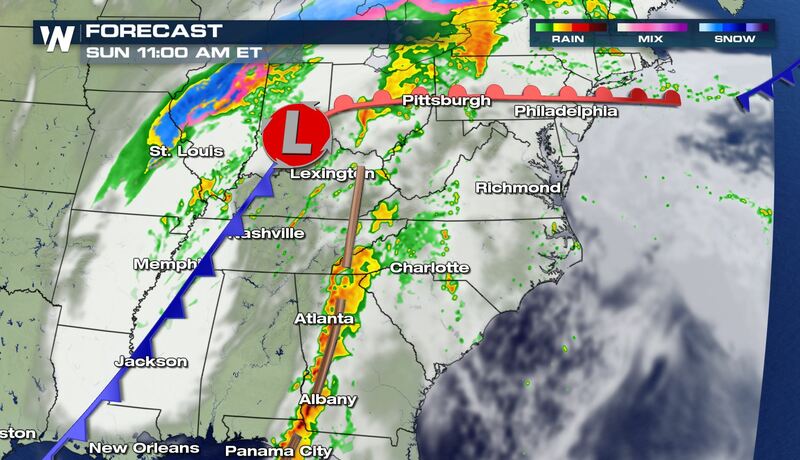 The threat of severe storms shifts eastward, with parts of the southern Appalachians, the Mid-Atlantic, and southeast under the threat of damaging winds, large hail, and tornadoes. 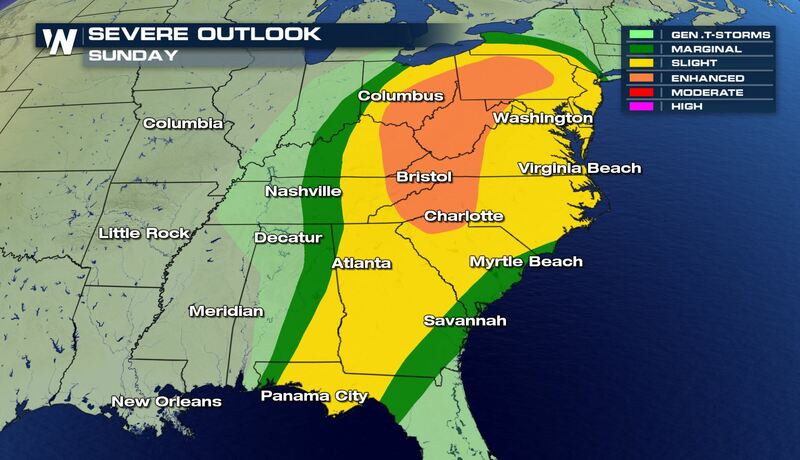 The Storm Prediction Center highlights an enhanced risk of severe weather. 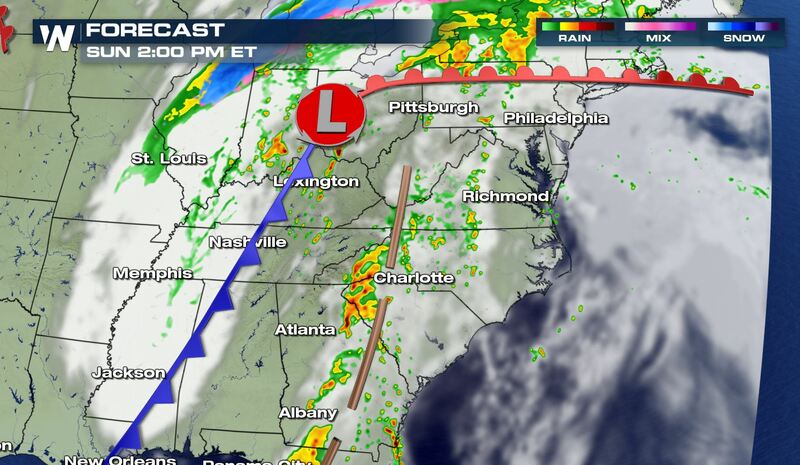 The storms will be a continuation of thunderstorms from Saturday that carry on through the morning hours of Sunday. 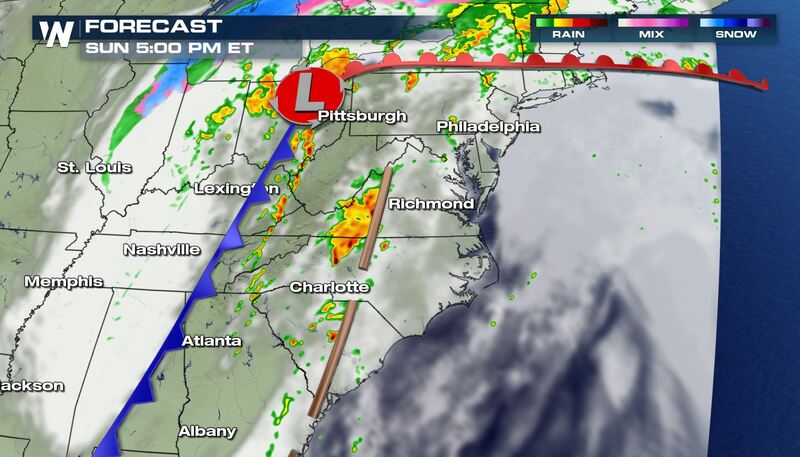 As temperatures rise some through the day, instability will also develop to reinvigorate the storms as they press east toward the mid-Atlantic. In the enhanced risk area, storms will be most numerous with the potential to develop damaging winds, hail, and a few tornadoes. 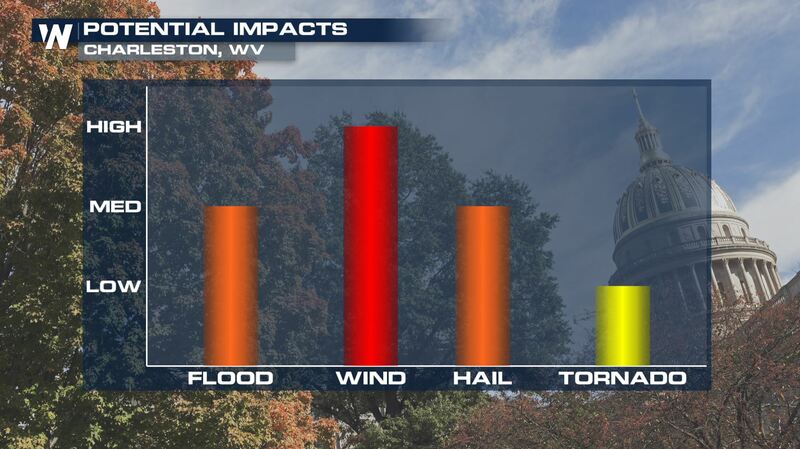 Several locations are at risk of strong storms Sunday. 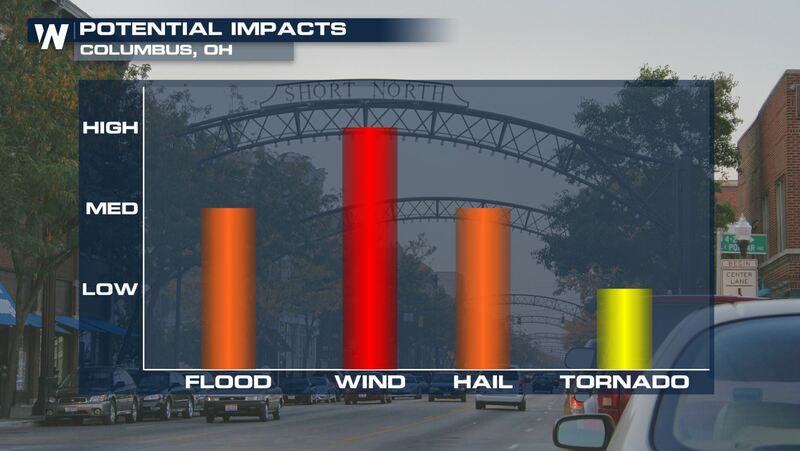 Here are just a few cities and the greatest risks in that particular location. Of interest, the Masters Golf Tournament in Augusta was moved to an earlier start in hopes of the best weather possible. 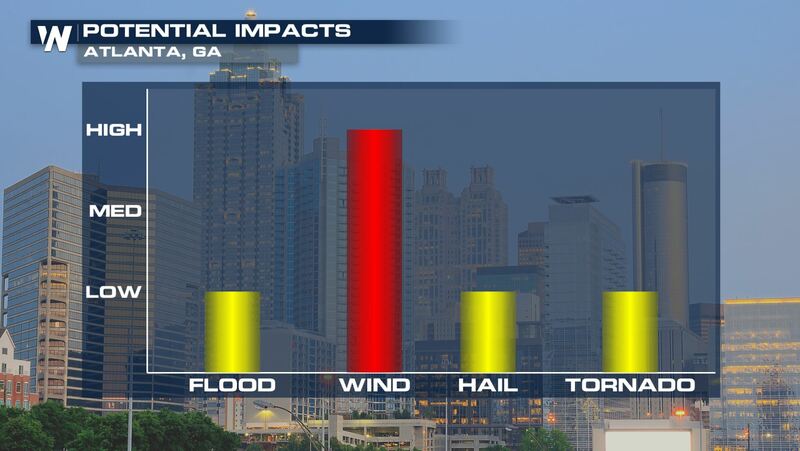 According to officials with the Masters Tournament has been impacted by rain or dangerous weather situations 44 of the 83 tournaments.